AIDAdiva is a cruise ship of the AIDA Cruises brand and travels the Mediterranean, Red Sea and Asian waters in summer. 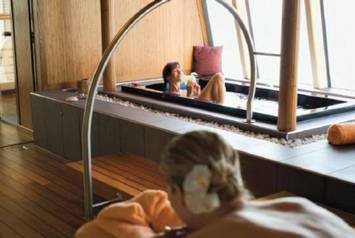 Sports and spa are both extremely important on the AIDAdiva. Feelings of calm and relaxation are best enjoyed in the designer bath CONODUO with the VIVO TURBO whirl system.